California Oriental Rescue View other Orientals for adoption. 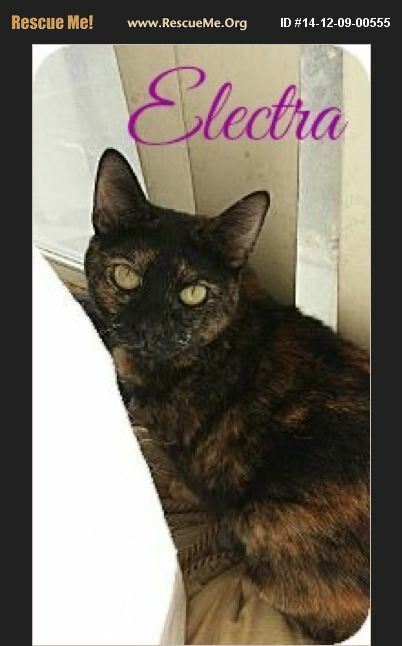 ***Sorry, we cannot adopt outside of Southern California*** Look at this stunning girl! She is approx. 6 months old and is a Sassy girl. Electra is very calm, loving and loves to be held. She loves to play with her sibling but can get a bit feisty at times. She would make a great addition to most any households. If you are interested in this Sassy girl, please feel free to email us. ****Adoption fee is Tax Deductible and includes spay/Neutered, microchipped, combo tested, vaccinations, dewormed and flea control. ****Adoption fee goes towards food, bedding, medical expenses, shelter fees to rescue cats from high kill shelters before they are put to sleep, ect.